Does the part feel right in your hand, or is it stable in use? Do the parts fit together as expected - do all the screw holes line up? Can the parts be assembled in a sequence that doesn't cause issues? Are there unexpected tolerance issues? Does the product actually work - does it function as expected? Do your customers like it? Do marketing and sales like it? Prototypes have other uses: trade shows and publication photos. Many times the time line for a product is based on an upcoming trade show or trip to a potential customer's facility. There may not be sufficient time to tool up for production runs, but there are numerous ways to build prototypes in less time. Rapid Prototyping, also called 3D printing or Additive Manufacturing, has been around for a while, but has grown in popularity in the last several years. 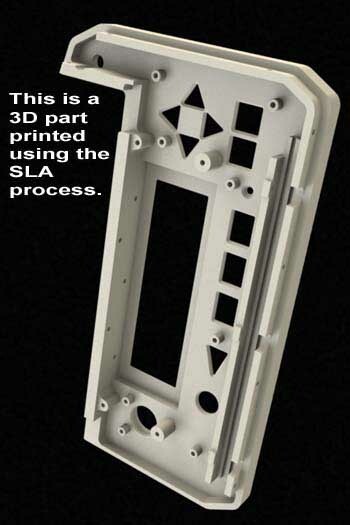 Once a CAD model has been created and approved, the file is output in STL format, the format used by most 3D printers. SLA - Stereo lithography. The most common technique when just one or a few parts are needed. Good for parts with fine detailing. Presentation Models. Can be used for casting or molding patterns. Form and fit testing can be done. SLS - Selective Laser Sintering. Produces tough parts that are good for form and fit testing of designs. Can be used to produce low volume production parts. Good detail and surface finish. Dimensionally accurate with thousandths of an inch. FDM - Fused Deposition Modeling. Very rugged parts that can be used for fit, form and function testing. Are almost as strong as the final, injection molded, parts. Good for parts that have threaded inserts, or that will require additional machining. PJET - Polyjet A proprietary method which can be used to print multiple materials on the same part, for example to simulate an over molding process. Higher volume sheet metal parts are often stamped using CNC turret punches, which sometimes require custom punch and die sets. 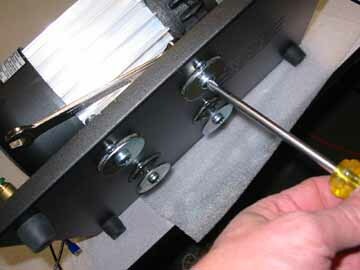 Even larger volumes might be hard tooled, an expensive and time consuming process. To prove out a design, or make a deadline, prototype sheet metal parts can be laser cut, or even water jet cut. In fact, some production parts are ideally suited for these processes, neither of which require special tooling. 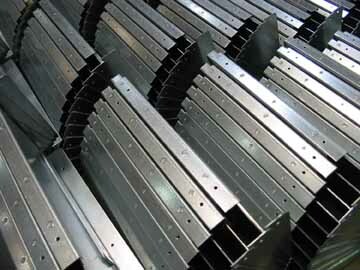 Most precision sheet metal vendors have lasers and can provide this service. Water jet cutting is not as common, but available if needed. It is ideal for cutting copper, silver and other materials that are not suited for laser cutting.